The CP.3 eXtended data (CP.3 XD) lenses by ZEISS provide extended metadata for digitally correcting images concerning optical shading and distortion deviations. Pomfort’s applications LiveGrade Pro and Silverstack provide functionality to leverage this extended metadata for on-set preview (LiveGrade Pro) and data management (Silverstack). The live signal of the camera is connected to a hardware capture device that is connected via Thunderbolt to the Mac running LiveGrade Pro in order to receive a live image in the application. Read the articles HD-SDI Setup for LiveGrade as well as SDI Recording and Frame Grabs for more information about live image capturing in LiveGrade. LiveGrade Pro connects via Wifi or a tethered network connection to the MasterLockit Plus that receives live lens correction data from the ZEISS CP.3 XD lens. The live lens correction data can be applied to the captured live signal from the camera. Learn more about the process in LiveGrade Pro in the article ZEISS CP.3 XD Lens Correction in LiveGrade Pro that offers a detailed description of the features. Silverstack XT and Silverstack Lab allow to import, display and export lens correction data from ZEISS CP.3 XD lenses. The lens correction data is recorded in the MasterLockit Plus. Clips offloaded in Silverstack hold timecode information that matches the recorded lens data from the CP.3 XD lens. Silverstack can connect to the MasterLockit Plus via Wifi or a tethered network connection to receive the recorded lens data and to consolidate it with the clips in the Silverstack database. After that step, the lens correction can be reviewed in the Silverstack player. Furthermore the correction data can be exported into ZLCFs (ZEISS Lens Correction Files) for consecutive production steps as e.g. the use in the “ZEISS Lens Correction” plugin ZEISS provides for Blackmagic Design’s DaVinci Resolve. Learn more about the process in Silverstack in the article ZEISS CP.3 XD Lens Correction in Silverstack that offers a detailed description of the functionalities. ZEISS eXtended Data is a newly developed lens data technology. It is based on the Cooke /i technology and extends the functionality with additional information about the lens characteristics such as distortion and shading. The characteristics are calculated in real time for every focal point and effective T-stop. 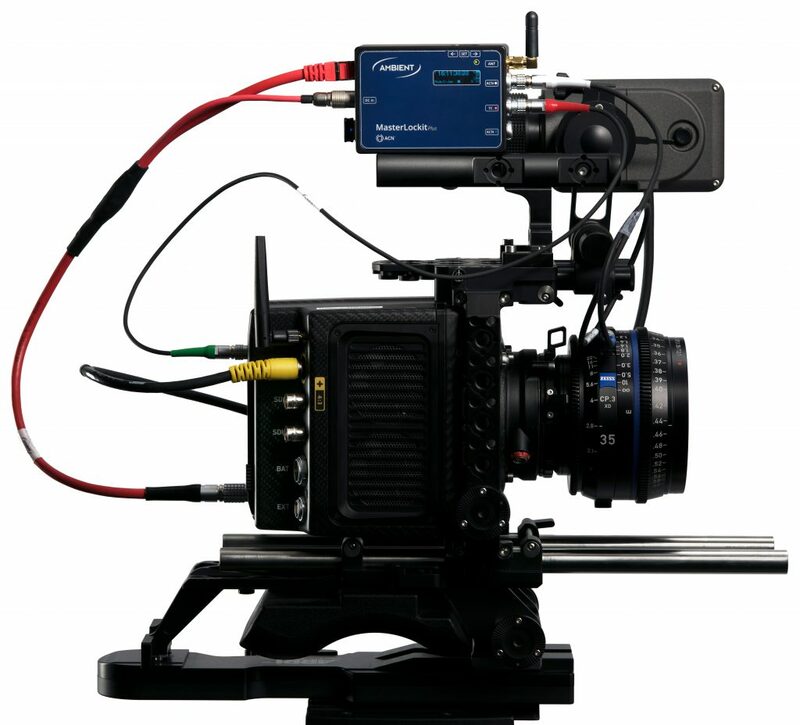 The lens data are transferred either directly to camera through 4-pin Cooke /i interface (PL mount) and / or to any supported equipment via external cable.